This past weekend, I had the opportunity to attend the New England Reading Association conference in Portland, Maine. The conference was great - sessions were thought-provoking, insightful, and inspiring. In addition to the conference, I spent some time exploring downtown Portland and happened upon a wonderful, little bookstore. There was a great selection of picture books. I could have spent hours there! So this week, my list is all picture books. This picture book would be a great mentor text for young writers working on a nonfiction unit of study. 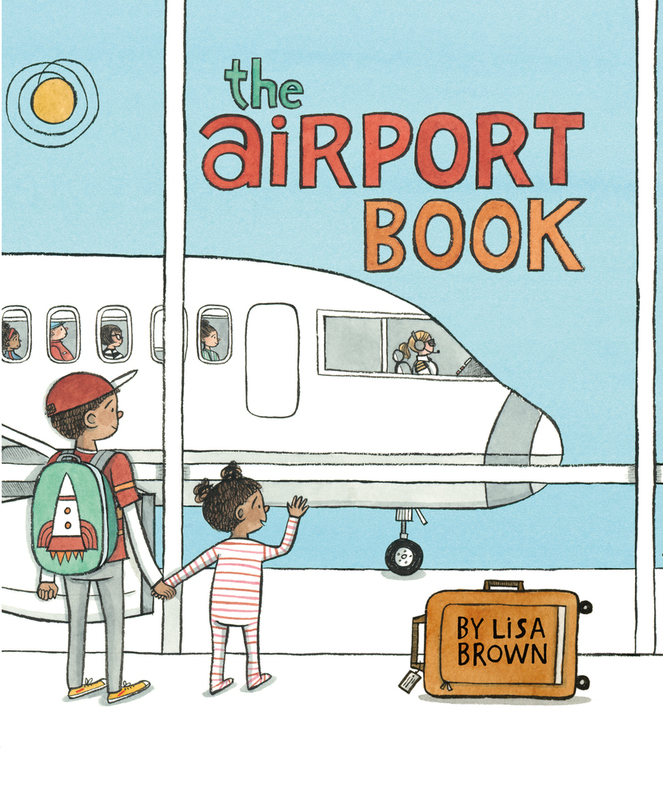 In the book, a boy tells what happens as his family begins a trip by going to the airport. It's very informative as it tells step-by-step what happens when taking an airplane. The illustrations are detailed and interesting and they add to the text by telling a parallel story, that of a missing sock monkey. I have some readers who love books about moving things, such machines and trucks, and I think they will enjoy the information in this book. This book combines two things that my students are always interested in reading about, dogs and dinosaurs, and does so in an interesting way. Scruff is unlike the other dogs, who all have collars and human friends. Scruff loves to dig and the other dogs are not impressed until one day he digs up one hundred bones. 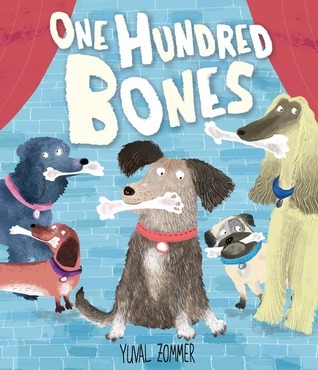 The bones seem unusual, so the dogs take them to the Natural History Museum and they find out Scruff has made an important discovery. I think this will be a fun story to read aloud to my first and second graders. Squid wants to be president, but his reasons are anything but presidential. The other sea creatures seem uninterested in Squid's desires to be president, but a clam and a sardine help him learn what it really takes to be president. This book has humor that children and adults will appreciate. Thunder Boy Jr, nicknamed Little Thunder, hates his name. He has many ideas for other names, like Not Afraid of Ten Thousand Teeth and Mud in His Ears, because they show something about who he is. Since Little Thunder was named after his dad, he doesn't know how to tell him how he feels. But, his dad seems to know he needs a name all his own. There is both warmth and humor in this story. 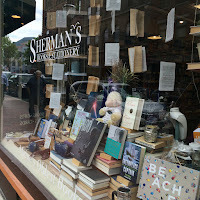 Sounds like a fun conference and it is always great to discover a new bookstore. Here is my week. Happy reading! What a great selection of picture books!! I have to confess I haven't ready any of these yet, though I have reviews of them popping up all over on blogs! I've heard so many great things about Thunder Boy Jr. in particular, so excited to put a hold on it as soon as it comes in to my library! Thunder Boy Jr. was definitely my favorite this week! Wonderful to get to go to a conference and a new bookstore! I have all these books on my list, will try to find them soon. President Squid is out in an appropriate year, isn't it? Thanks, Lisa. Yes, it is good timing for President Squid! That bookstore looked so inviting! I would go in there and never want to come out! Awesome that you found so many great picture books there. I really enjoyed Thunder Boy, Jr. I thought it was cute and I know that kids sometimes wish they had a different name. I've ordered the rest of your books from my library and am looking forward to reading them. President Squid looks like it might be good reading in a presidential election year. Might have to get my own copy of that one! Have a great week! Summer's so close at hand! That's exactly how I felt about the bookstore! I love any bookstore, but especially independent bookstores like that one. 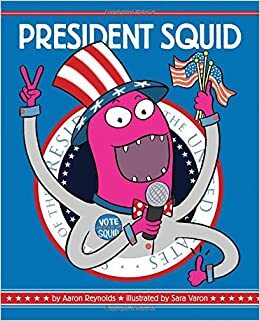 President Squid definitely is relevant right now in an election year.